2019-02-10 - Taylor County, KY - Photo from Campbellsville University Communications. 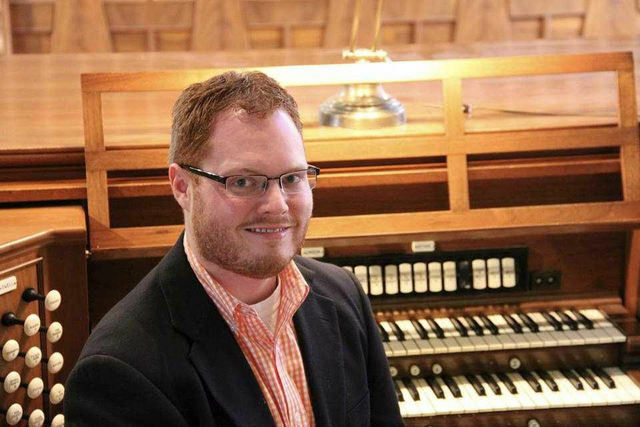 Dr. Zachary A. Klobnak, college organist and instructor of organ, harpsichord and piano at Centre College in Danville, will be presenting a guest organ recital Tuesday, February 12, 2019 at 7pmCT/8pmET in Ransdell Chapel on the campus of Campbellsville University. He will be performing music by William Mathias, Rachel Laurin, William Walton, and Johann Sebastian Bach. The concert, the first of two in the month of February, is free and open to the public.